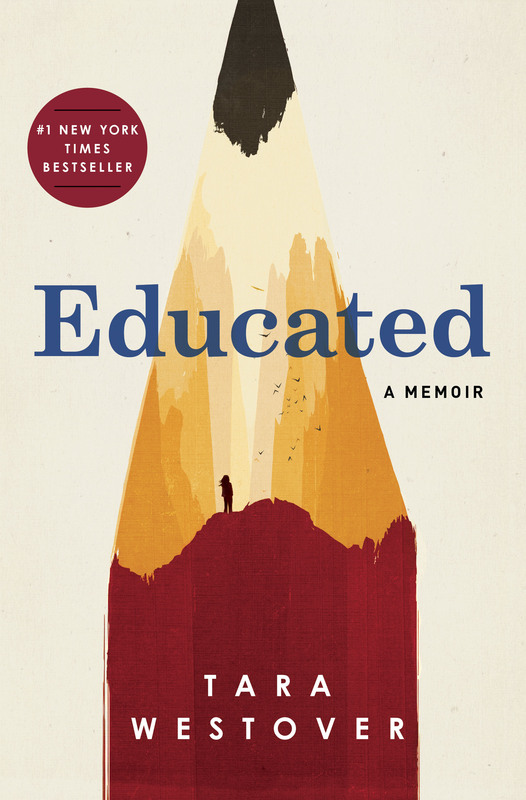 Overall, the book Educated: A Memoir reads like a novel, with the pages turning easily. For those who have lived through trauma, though, the book needs to be read in chunks, taking pauses to move forward. It is a story about surviving familial trauma as well as the transformation of a young woman. Westover loosely discusses Mormonism, though not her personal faith journey. Rather, the story is about overcoming the inconsistent faith of Westover’s father and replacing lies with the truth in the author’s life. The journey is confounded by Tara’s mother’s co-dependency, repeating and believing her husband's lies. This is their faith; believing in the man, Westover's father. Also woven through the story is the physical abuse from an older sibling, Shawn, and Westover’s survival and confrontation of it. In section one, we also meet two of Tara’s siblings. She looks to her brother Shawn as a savior from her father, but readers come to learn he is abusive, as illustrated by an instance when he asks Tara to get him a glass of water. She refuses at first, then gets the water, but dumps it on his head. Shawn chases Tara down, pins her to the floor, and forces her to say sorry. Repeatedly, Shawn forces Tara into submissiveness; pushing her head into the toilet bowl, dragging her through the house by her hair, all while their parents are out of the house. As the story progresses, Tara also introduces us to another older brother, Tyler, a more positive figure in her life. While reading her a passage from the Book of Mormon about the great prophet being “a sober child, quick to observe,” Tyler says, “This reminds me of you.” Westover interprets this as encouragement to “trust [herself]: that there was something in [her]...neither male nor female, old or young; a kind of worth that was inherent and unshakeable” (119-20). Tyler emboldens her to leave, to go to college, even helping with the application, lying about homeschooling. At 16, Westover begins her educational journey. The second section begins with Westover's first semester at Brigham Young University (BYU). College was hard at first, because of Tara’s lack of formal education. Despite challenges, she persevered. In psychology class, she first encounters the word “bi-polar.” Reading the text, she hears it describing her father whose memories of a situation are so impressed on her, she doesn't know whose memory is the truth. She states, “My life was narrated for me by others. Their voices were forceful, emphatic, absolute. It had never occurred to me that my voice might be as strong as theirs” (197). This realization marks the beginning of her transformation. With the assistance of her history professor, Westover wins the Gates scholarship to study at Cambridge. It’s in the third section of the book, during her time at Cambridge, that Tara’s transformation continues as she first learns about Isaiah Berlin's concepts, negative liberty and positive liberty. For Tara, positive liberty was “to be liberated from irrational fears and beliefs, addictions, superstitions, and all other forms of self-coercion” (257). Tara confronts her own belief system through the knowledge she has gained. At the library, further exploring Berlin’s concepts, she realizes she’s finally identifying words for the dreams she’d had as a child—not wanting to have a future of motherhood, but of knowledge. She reflects on the power of “a single line written by John Stuart Mill...move the world, 'it is a subject on which nothing final can be known.' Never had I felt such comfort in a void, in the black absence of knowledge. It seemed to say: whatever you are, you are woman” (259). After having been originally apprehensive of the book, thinking it might raise too many memories for myself, I ended up liking it. I found it to be cleansing, understanding, and full of hope for those who are traumatized. Tara Westover's words sum up my own experience: “Something had shifted. I had started on a path of awareness, had perceived something elemental about my brother, my father, myself. I had discerned ways in which we had been sculpted by a tradition given to us by others...I began to understand that we had lent our voices to a discourse whose sole purpose was to dehumanize and brutalize others-because nurturing that discourse was easier, because retaining power always feels like the way forward...never again would I allow myself to be made a foot soldier in a conflict I did not understand” (197).